One of the cool things in working with and getting to know so many smart business owners is the great stuff they create and on this episode of 3 in 3, I’m going to share three recent books published by friends of mine that you should definitely check out, so get ready for 3 in 3. 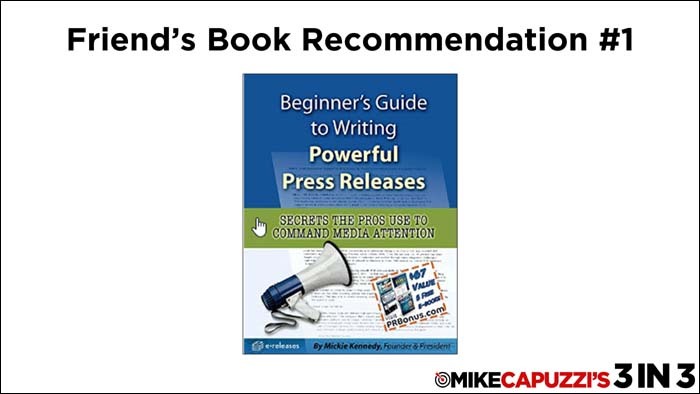 The Beginner’s Guide to Writing Powerful Press Releases was written by Mickie Kennedy who founded the press release distribution company, eReleases.com. 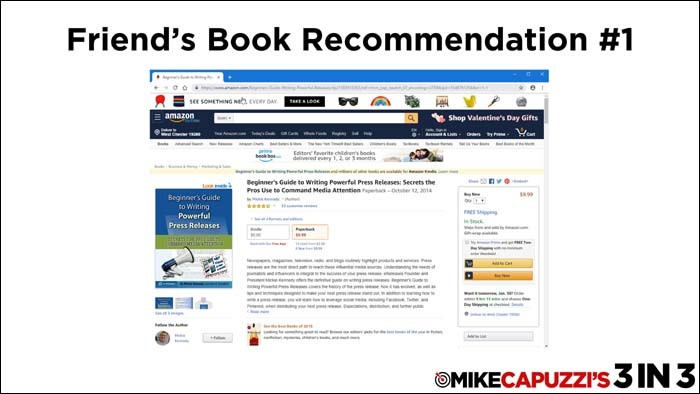 If you’re new to using press releases in your business, Mickie’s guide is an excellent book to start with and shows you exactly how to construct an effective press release. 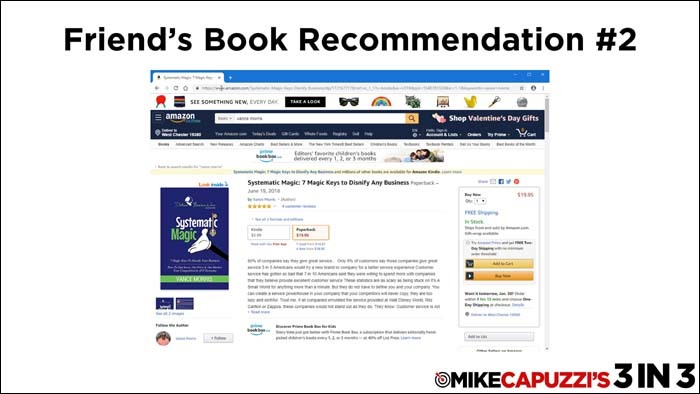 I personally have used Mickie and his business for press releases and recommend him to my shook publishing clients fo r helping get the word out about their customer-attraction short books. Mickie is a great guy and I recommend this book, which you can get on Amazon. 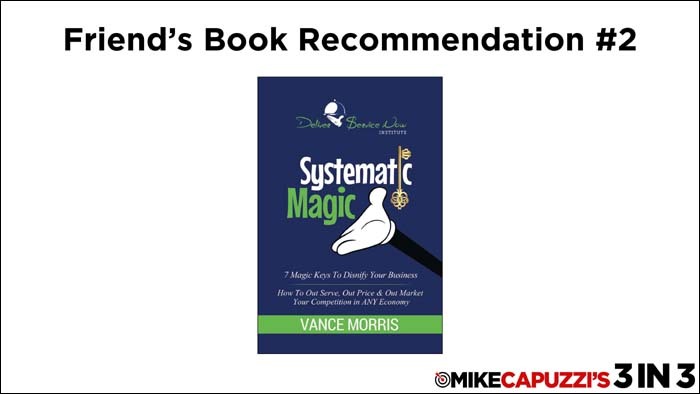 Systematic Magic-7 Magic Keys to Disnify Your Business was written by former Disney “cast member” Vance Morris who has created a book that shows traditional Main Street-type business owners how to apply the keys that make Disney special to their own business. While there are several business books related to applying Disney strategies to one’s own business, what I like most about Vance’s book is that he has combined his 10 years of Disney experience and translated it into a direct-response marketing guide for small business owners. This means his ideas and strategies are practical, effective and easy to implement. I also like the fact his book is an action-book. Throughout his book, Vance prompts you and forces you to think about your business and how it aligns with the keys he is sharing. The last friend book I’m sharing on this episode is one where I feel like I “was there” when the idea was birthed. 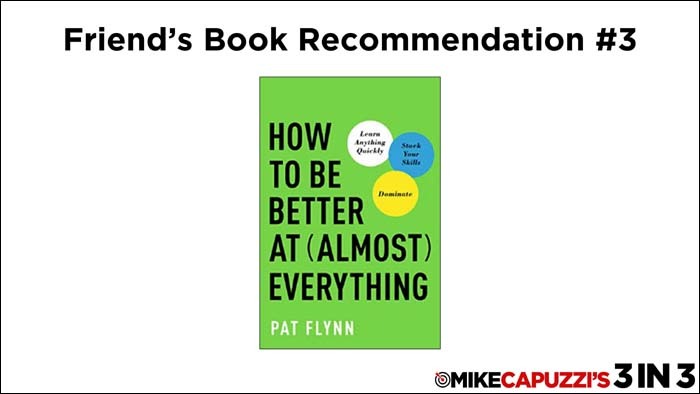 Almost two years later, Pat’s vision was brought to life in his latest book, How to Be Better at (Almost) Everything. His latest book offers a unique and practical approach and strategy for physical, mental and spiritual self-improvement, and includes several real-world examples of successful business owners who exemplify his philosophies. Pat’s books are available on Amazon. So that wraps up this episode of 3 in 3. I hope you found these books that friends of mine have recently published useful and if you’ve written a book, let me know about it below and don’t forget about my upcoming March workshop on books and specifically customer-attraction short books – Short Book Success. Details at ShortBookSuccess.com. 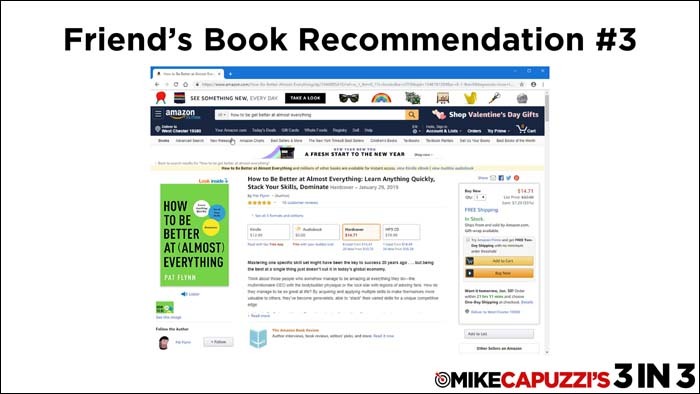 Mike, thanks so much for the shout out on the book. I appreciate it.